Fairly good swap meet Sunday. But They're not like they used to be. 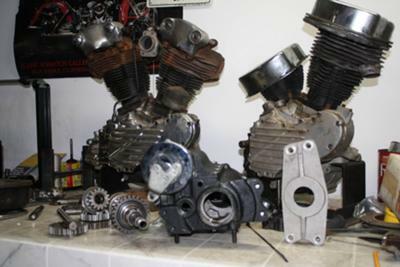 It was a successful trip, Picked up the trany for the Electraspringer project and made a connection for a set of panheads. Not thinking at the time (hindsight is always 20/20) I'm going to have to run a primary to have electric start. I thought about making a main shaft support brace like the one pictured with an extended flange to support the electric starter. Which starter should I use? Is there something out there already on the market? 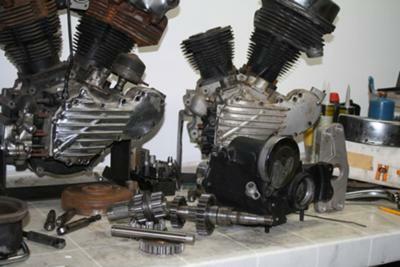 Remember I'm matching a stater left case half with a knucklehead right half.